Discover the power of machine learning. It finds patterns, learns, and understands by recognizing voice, text, images, and videos, fueling business growth in ways never imagined possible. Realize its full potential with SAP Leonardo Machine Learning. Watch a video to learn more. “Businesses thrive on data. With SAP Leonardo Machine Learning, BASF is able to derive learnings from our rich datasets, and to drive business process improvements that directly benefit our customers" said Wiebe van der Horst, Chief Information Officer, BASF Group. “Audi’s sponsorship team found the SAP Brand Impact solution a very useful tool. It can help Audi to evaluate its sponsorship exposure at high levels of operational excellence and transparency", said Thomas Glas, Global Head of Audi Sports Marketing. 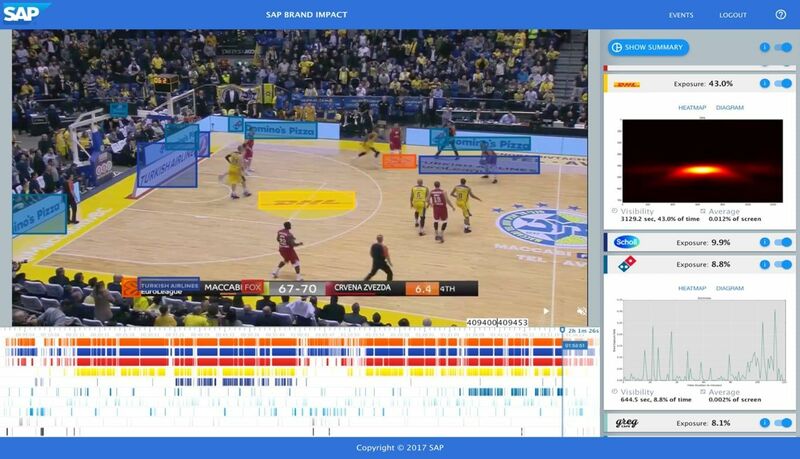 “We are impressed by the solution’s capabilities, precision and speed and see it as a great potential tool for our sales efforts, adding data and numbers to media exposure previously deemed unmeasurable", said Yaron Talpa, Chief Marketing Officer, Maccabi Tel Aviv Basketball Club. 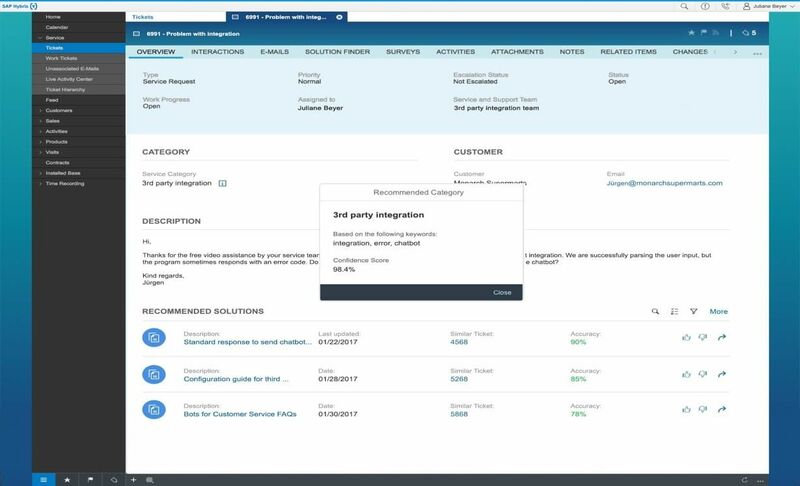 SAP makes it incredibly easy to enable intelligent features in enterprise software by integrating the intelligence directly into our portfolio applications. But our approach goes far beyond: With the SAP Leonardo Machine Learning Foundation , we open our core technology so that our customers and partners can build their own new machine learning applications using intelligent services embedded in SAP Cloud Platform.